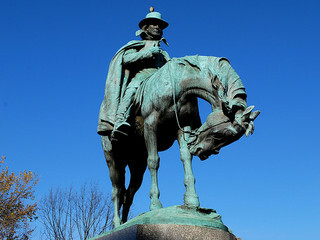 Several times in the last few months I have heard persons in positions of power reference John Wigger’s American Saint: Francis Asbury and the Methodists. Each time they say they are reading it. None have claimed to finish the book, which given the page count is understandable. I am reading it, though it has taken the back burner to Bad Religion. Each time someone references it, he or she uses some sort of example from the book to make a point of contrast. In Asbury’s time it was like a, now it is like z. The point of contrast is not to highlight the differences between our time and Asbury’s, but to make a point of how the speaker thinks we should be now. Asbury would do a, why are we doing z? I understand the temptation. I plan to preach a sermon series on the lost language of Wesleyan theology this summer. The initial inspiration came to me while reading the first part of the book and then thinking about our current theological language or lack there of. People often do this with John Wesley too. We perceive John Wesley and his time as some golden age of Methodism. If we could some how distill his essence or resurrect him a little earlier than the great and glorious day of the Lord, perhaps we could return to this perceived golden age. WWJD becomes what would John do? For those of us unhappy with some element of the modern church, we try to use John or Francis as part of our contention of how to fix that particular element. This fits in with a larger trend in our society and church about the “good old days.” We idealize the past. Our founding fathers were at the pinnacle of human thought and we must somehow channel them if we want to govern well today. The church was so much better in the past, what is wrong with people today? In our society and in our churches these ways of thinking take many forms. I do not think the past is inherently better than the present. As a student of history I love learning about the past. There are many persons from the past I find inspirational. We need to be careful though about how we talk about the past when making points about the present. At best we can only gloss the past. Our presentation of some glorious and golden past is by nature limited in scope and prejudiced with current biases. One reason we need to be careful when using the past to talk about the present is that we smooth out the differences between the present and the past. For example, when we talk about itinerancy in the United Methodist church today, it is different than it was in Wesley’s day. Methodist preachers in Wesley’s days would be sent on large circuits comprising hundreds of societies. Today United Methodist pastors are appointed to a much smaller circuit by way of comparison. A Methodist preacher primarily preached, a United Methodist pastor today has more on her or his plate. This gets me to my larger concern about churches versus societies. When people bring John Welsey or Francis Asbury up to talk about the past in comparison to the present, we rarely talk about the differences between their situations and ours. Today we have the church, in Wesley’s day they had societies. In America, Asbury oversaw the transition between societies and churches. Before making comparisons between the past and the present, the differences need to be acknowledged. I’ll look at some differences in part two tomorrow. “Ranger with a Cape” ©2010 Copyright M.V. Jantzen. Licensed Under Creative Commons.